Margo really liked how the Rag Quilt she made for her mother turned out. She decided she wanted one for herself, to be used on these winter evenings, while she lounged in her living room chair. She had taken a recent liking to what are called Sugar Skulls. These are skulls which are painted and used in the Day of the Dead festivals in Mexico. She found fabric at Walmart which featured these, and another exact pattern without them. She used a solid purple cloth for her middle layer, and a purple for the back. Those three colors really did a nice job providing the rag border between the blocks. I asked Margo "What she had in it", meaning time and materials. 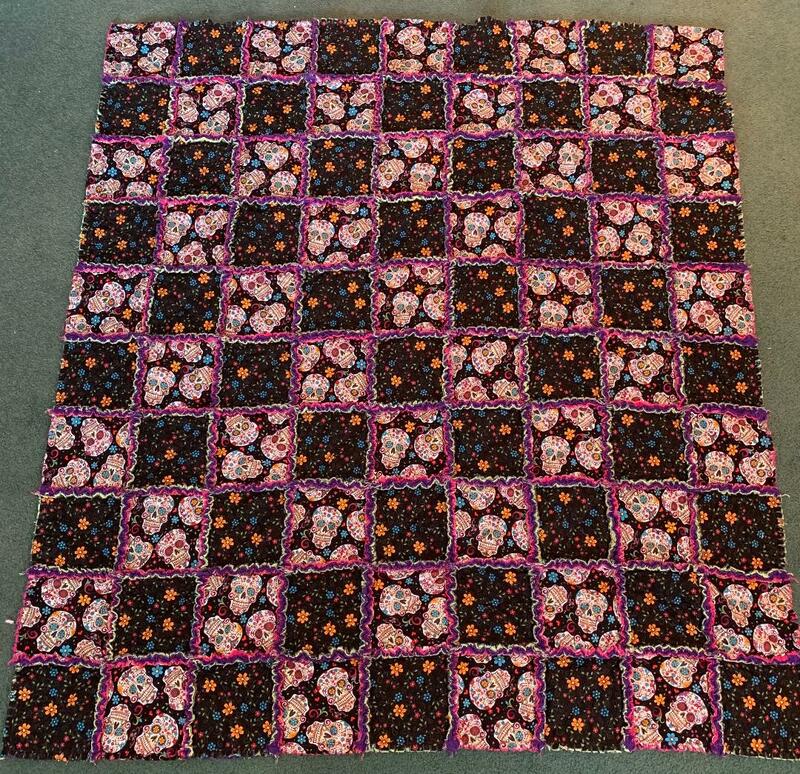 For this quilt, it took her about 6 total hours and almost $60 in fabric. That should give you an idea if you are ever the recipient of one of these gifts. They are unique, not cheap to make, and contain a piece of the maker's soul.